Amberley is becoming the modern day boom town. Its population is exploding as people move north from Christchurch and Kaiapoi. They are discovering that this rural town offers a lot – from beaches and walkways to an excellent golf course and high-quality cafés and shopping. Delhaven Motels is a 10min drive to Waipara Valley Wineries where you can enjoy excellent wine and food. The Amberley Beach is a 5min drive, where the 18-hole golf course is located. Award-winning restaurant and other dining establishments are within an easy walk as with traditional country pubs. A new shopping complex opened across the road in May 2014 that includes a Countdown supermarket and an ale house. There is a variety of walks in the area from easy flat river or wetland to challenging mountain hikes. 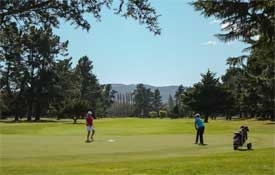 Amberley's 18-hole course is just 45km north of Christchurch. Enjoy a game of golf on a quality country course with wonderful views and the crashing surf just meters away. The local pubs and vineyards can round off a perfect golfing day. 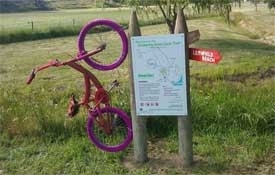 Easy gradient trail for families. Suitable for joggers, parents with push-chairs, wheelchair users, etc. Easily accessible recreation in a beautiful environment presently enjoyed by few. Safety – on quiet roads and off road – provides safety for less confident people who wouldn't normally walk and cycle on roads. Featuring in the Lonely Planet, and adjoining the very popular and award-winning Pukeko Junction Café & Deli, Pukeko Junction is the perfect stop. 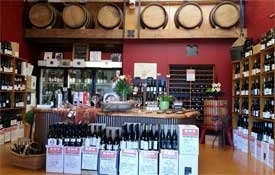 Enjoy great coffee and gourmet country-styled food then wander through to the wine shop and gallery. Many local premium boutique wines are featured and local knowledge is gladly shared. Pegasus Bay is owned and operated by the Donaldson family who were pioneers of the local wine industry. 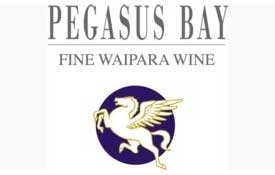 Often referred to as the leading producer of fine wine in the region, Pegasus Bay produces complex and full flavoured wines with character from their home vineyard which is now more than 25 years old. The winery has been named one of NZ's top 5 producers by Robert Parker and the vineyard restaurant has been awarded NZ's best by Cuisine Magazine in 2011 for the last 4 consecutive years.